Welcome to the Agrina Guesthouse! A brand new and modern guesthouse is located in the heart of Seoul. Shopping, fashion, culture and food, all is just at the corner. We are only a few minutes away to Myeongdong, Dongdaemun, Namdamun by subway, you can even walk there. Plenty of restaurants, fast food, cinema, cafe and entertainment, you will never feel bored during your stay. We have an unique designed with black, white and natural wood colour. We offer cozy and comfortable environment for guests. After spending a day with crowded, here is a sweet home for travellers. You can enjoy a cup of coffee and reading at the terrace and sometime we have BBQ party at night. 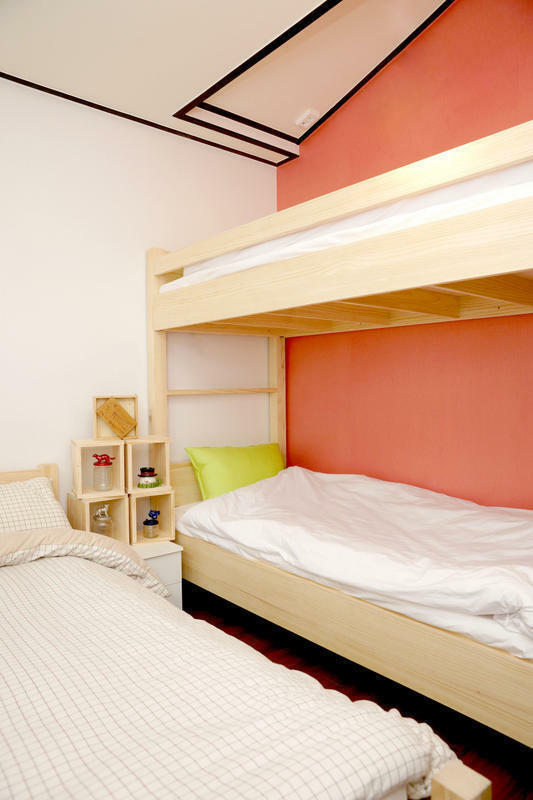 We have 4 beds, 6 beds and 10 beds dorm, a single room, a double room, two family rooms, all with spacious shared bathroom. Kitchen facilities and free wifi services are provided. We also provide free breakfast everyday morning. Come and stay with us! You will feel the warmest welcome!! We will do our best to help you and give you a great experience in Seoul. Airport bus stop one layer 6A, 12B by 6001 in a limousine bus and get off at Chungmuro Station(14,000KRW). International or domestic Gimpo Airport Limousine Bus 6001 from platform 4 and get off at Chungmuro Station(7,000KRW).